For Mom: Martha Madison and Siblings Do Something Special for Their Mother Suffering from FTD! Days of Our Lives star, Martha Madison (Belle) and her siblings; Alison and Bo will partake in the BMW Dallas Marathon and Half Marathon on December 9th. This is in honor of their mother, Barabara Baggs who has suffered from FTD for 15 plus years. Madison shared, "Since my sister, Bo's, completion of her first IronMan earlier this year, I have not only been inspired by her physical fitness, motivation and tenacity, but also by her mantra, "I do it because I can!" Our mother and so many others cannot because of this devastating disease. So, I decided to train for the last six months and run in honor of those who cannot. I will carry my Mom in my mind and heart the entire way." 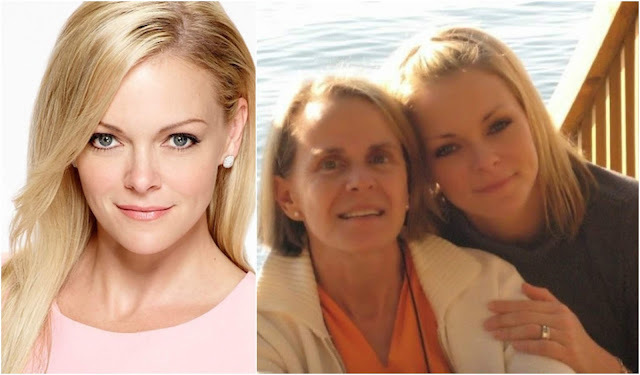 Soap Opera News: For Mom: Martha Madison and Siblings Do Something Special for Their Mother Suffering from FTD!